When it comes to receiving reliable Houston Lice Treatment services, countess numbers of families trust The Lice Pace. We are a known name in the industry and the most reputable lice removal franchise in the area. With many years of combined experience, honest work ethic and affordable lice treatment solutions, The Lice Place has become a leading service provider in Texas. Now, we are looking to expand outside of the state so that we can reach out to more and more families that are suffering from the problems of head lice and nits. If you live in Houston and are also infected with head lice, call our office in the area immediately. We offer professional treatment and guidance to treat the existing problem and help prevent the future infestations. Being a responsible lice treatment franchise, The Lice Place treats its customers with complete integrity. We are held with the highest level of professional standards and follow specific practices and guidelines that help us protect our customers from any potential harm. 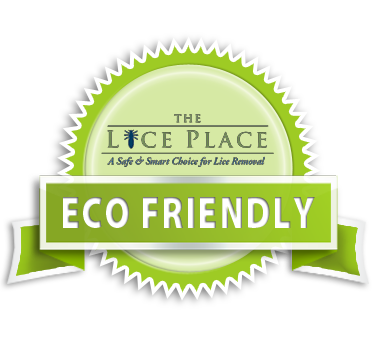 With our honest work ethic, safe treatment method and natural lice removal products, The Lice Place is the area’s most trusted company. When you come to us for lice removal treatments, we conduct a thorough diagnosis to understand the severity of the problem. This is done through our professional head checks that not only state the intensity but also determine if the problem really exists. Many a times, people are misdiagnosed with lice infestations and spend hundreds of dollars for its treatment. The Lice Place understands the importance of your hard earned money and doesn’t provide its treatment unnecessarily. The treatment method we employ at The Lice Place is 100% safe and natural. We use professional combing, and manual removal along with using TLP lice removal product that do not contain any harsh chemicals or pesticides. The Lice Place offers the best Houston Lice Treatment services in the most natural way. Our pesticide free, non-toxic lice treatment will make you lice free completely in just one session. Call us today at (713)667-5423 to book your appointment for your treatment.